Guys…Where did summer go? I mean, the weather is hot and I’m not complaining but like…it’s already September?!? That’s all I’ll say about it. I just can’t believe it’s real. Speaking of real…I’ve been out of high school for 10 years. Ew. I’m going to my 10 year high school reunion this weekend and It’s a very hard realization to face knowing you’ve been away that long…. I’m SO excited for a weekend up in the woods with my best friends. I plan to make all the s’mores I possibly can and drink all the tasty WI beer I can get my hands on! Here is the first September lately…and it’s insane because I feel like it should be July…summer you flew by! I hope you all have a WONDERFUL Holiday weekend! Stay safe out there, folks! As you know I have an obsession with coffee. Therefore this picture is no surprise to you. 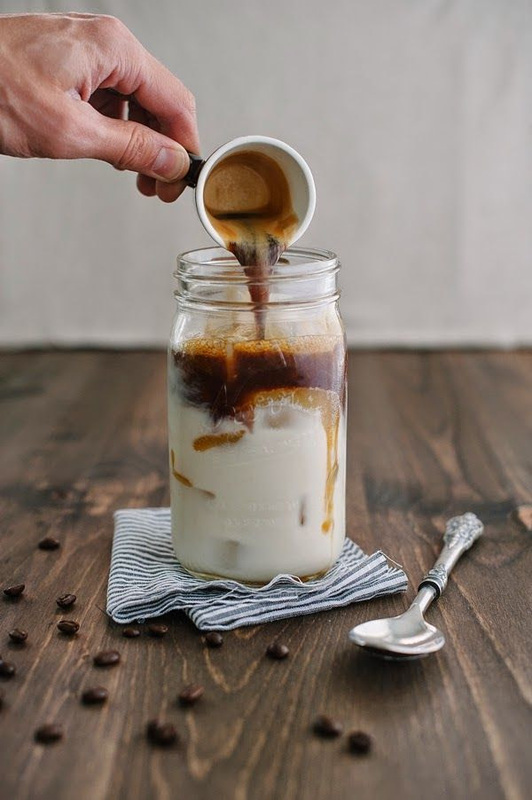 I love the way the hot espresso is melting its way down through the ice and cream. I. LOVE. JAVA. If someone could please deliver this salad to me right now that would be great. 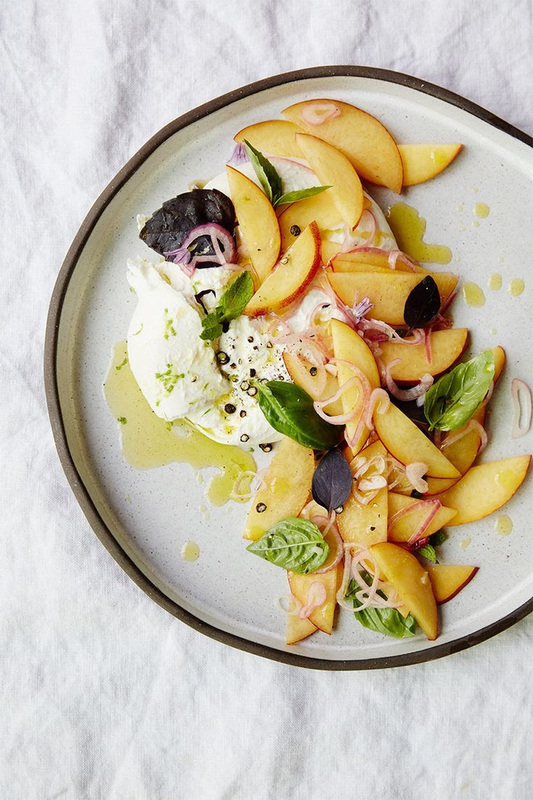 Burrata is obviously the best cheese on the planet. Plus fresh peaches, red onion and a vinaigrette. SHUT THE FRONT DOOR. But only shut if after you’ve delivered this salad to me, and then leave so I can stuff it in my face…Please and thank you. It’s still summer. Therefore I’m going to post as many beachy looking pictures and jewels as possible. I loveeeee that gold line of dots running down her finger. I want that to be a permanent tattoo on my hand! 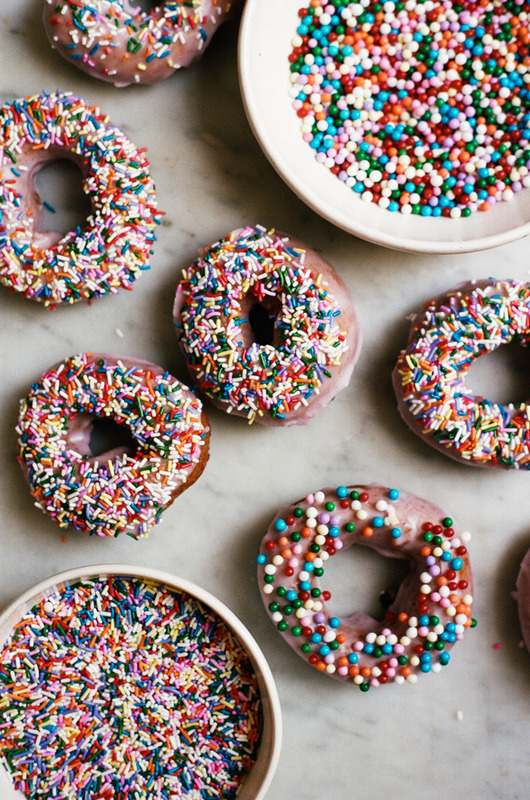 I realize that donuts are trendy right now. And I know I post about them a ton/eat them a ton/love them a ton, but it runs in my family and I have no choice. My Dad has always been a very skinny guy even though he has a super sweet tooth. He can eat pastries and desserts all day long. When I was a kid he would have a donut or an apple fritter every morning (and if no donut then he would have a stack of cinnamon & sugar toast). Every night my Dad has a bowl of cereal before bed. One of my favorite late night snacks is also a bowl of cereal! I have learned to love a lot of things from my dad. He is very wise when it comes to eating carb-filled sweets! And speaking of carbs, check out this BEAUTIFUL blog, Apt2B Baking Co. Amazing. Last but not least, a cocktail. It’s still summer and it is hot! hot! hot! here. 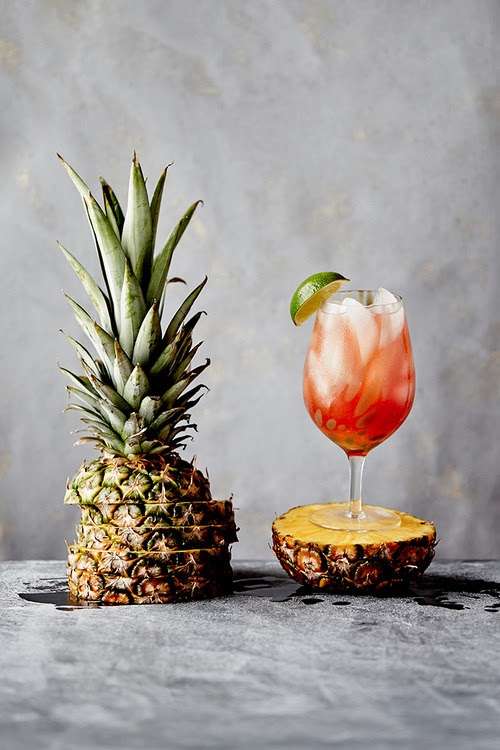 I can’t wait to make a few delicious cocktails this weekend (like this Bay Breeze) and enjoy what is left of the summer! Okay, this post just made me hungry.